Without it where would I be? It was a strategy I learned early on as a real estate entrepreneur; it’s a strategy I continue to use today. But I’m not the only one… and it’s not a new way to participate in deals. You might wonder how I started using this killer strategy and how I get sellers to work with me by carrying all or part of the financing. It really started when I was a wholesaler. That was almost a decade ago now, but the basics I learned as a wholesaler stuck with me. While I don’t participate in wholesale deals today, the experience I learned as a wholesaler in real estate was invaluable! For example, I has to push myself out of my comfort zone to actually talk to people. Believe it or not, that was REALLY uncomfortable for me. Admittedly, I’m not real chatty even today, but I was able to learn to be a good communicator, which was absolutely necessary if I would be talking to sellers, buyers and investors. As someone who buys rental properties, including properties that would make most sense as vacation rentals, you better believe I talk to lots of sellers and investors. I’m the buyer in this case… who uses OPM to make deals happen… which means I get to raise private capital (as well as getting sellers to work with me). While vacation rental properties is something I’ll talk more about in the future, right now let’s stick to how building your communication skills is necessary when looking to buy rental properties and getting the seller to fund the deal. The good news is… just like me… that you can learn this skill. Develop your communication muscles for the strongest results! You might think that talking to sellers, buyers and investors means you’ll do all the talking. But that’s not right. To get to your desired result will require you to become a stellar listener. Once you learn to be a better communicator and way better listener, you’ll find that it’s much easier to talk to sellers about the possibility of their carrying some or all of the financing. You’ll be able to show them why it makes sense for both the seller and for you. Working together can actually put more money in the seller’s pocket than if he/she were to take the traditional path of using a Realtor or broker. But there are things you have to know about the seller first, which requires good questions and conversation. Learning if the person you’re talking to is really the seller – You’d be surprised, but some people who tell you they want to sell a property don’t have the legal right to do so. Finding out who the actual property owner is would be your best starting point. There are different ways to verify the information. Of course, these are just three bits of information you need to learn from the seller before you can make your offer, which ultimately will include seller-finance options. And, yes, that’s plural; every offer you make when you want to buy rental property for whatever reason needs to have different options. I typically give sellers three options. When I say “seller financing” or “seller carry back” you might think that’s just one way the seller can work with you. The truth is far different. When it comes to working with sellers, there are lots of ways to slice that pie. But that’s a course on its own. 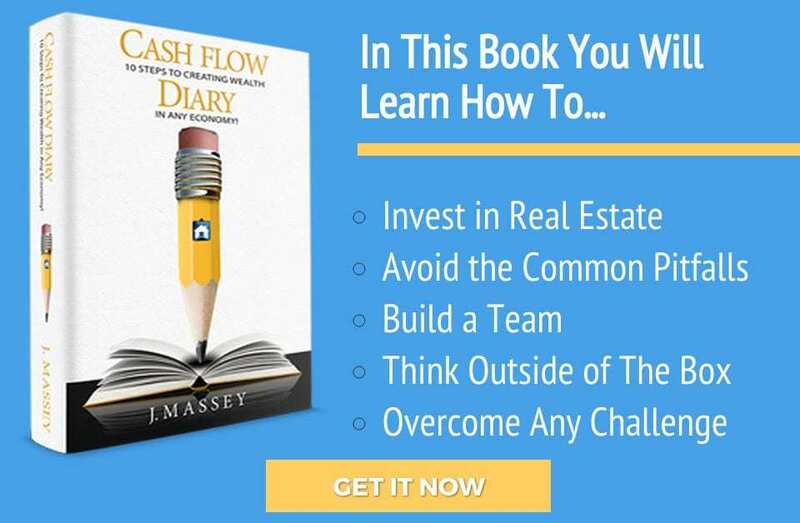 In fact, that’s why I created one for Creative Acquisitions and Creative Financing Strategies, which you can find on www.CashFlowDiary.com/products along with a lot of other great courses! CFD 306 [REPLAY 162] – Tax Time Blues? Turn that Frown Upside Down with Tax Credits!